The immediate preparation of this treatise began in 1870, when the author was called to give instruction for a year in the department of Systematic Theology, in Union Theological Seminary. The work was resumed in 1874, when he was elected to this professorship, and was prosecuted down to 1888. But some general preparation had been made for it, by previous studies and publications. The writer had composed a History of Christian Doctrine in the years 1854-1862, which was published in 1863; and also a volume of Theological Essays containing discussions on original sin and vicarious atonement, and a volume of Sermons to the Natural Man predominantly theological in their contents. The doctrinal system here presented will be found to be closely connected with these preceding investigations; and this will explain the somewhat frequent references to them as parts of one whole. 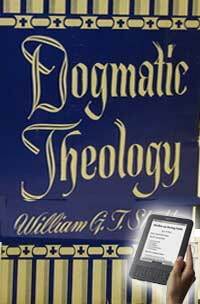 The Dogmatic History is the natural introduction to the Dogmatic Theology. The general type of doctrine is the Augustino-Calvinistic. Upon a few points, the elder Calvinism has been followed in preference to the later. This, probably, is the principal difference between this treatise and contemporary ones of the Calvinistic class. Upon the subject of Adam's sin and its imputation, the author has been constrained to differ from some theologians for whom he has the highest respect, and with whom he has in general a hearty agreement. In adopting the traducian theory of the origin of the soul, in the interest of the immediate imputation of the first sin, he believes that he has the support of some of the most careful students of Scripture, and deepest thinkers in the history of the Church. This theory, however, even when adopted has not attained much explication. Some further development of it has been attempted; with what success, the reader must judge. The doctrine of the Trinity has been constructed upon the Nicene basis, but with more reference to the necessary conditions of personality and self-consciousness, and the objections to the personality of the Infinite introduced by modern pantheism. In respect to the ontological argument for the Divine Existence, the author is in sympathy with the a priori spirit of the old theology. The statement of the doctrine of Decrees, and of Regeneration, is founded upon the postulate, that all holiness has its source in the Infinite will, and all sin in the self-determination of the Finite. It will be objected by some to this dogmatic system that it has been too much influenced by the patristic, mediaeval, and reformation periods, and too little by the so-called "progress" of modern theology. The charge of scholasticism, and perhaps of speculativeness, will be made. The author has no disposition to repel the charge. While acknowledging the excellences of the present period in respect to the practical application and spread of religion, he cannot regard it as pre-eminent above all others in scientific theology. It is his conviction, that there were some minds in the former ages of Christianity who were called by Providence to do a work that will never be outgrown and left behind by the Christian Church; some men who thought more deeply, and came nearer to the centre of truth, upon some subjects, than any modem minds. Non omnia possumus omnes. No one age, or church, is in advance of all other ages, or churches, in all things. It would be difficult to mention an intellect in the eighteenth or nineteenth centuries whose reflection upon the metaphysical being and nature of God has been more profound than that of Anselm; whose thinking upon the Trinity has been more subtle and discriminating than that of Athanasius; whose contemplation of the great mystery of sin has been more comprehensive and searching than that of Augustine; whose apprehension of the doctrine of atonement has been more accurate than that formulated in the creeds of the Reformation. In drawing from these earlier sources, the writer believes that systematic theology will be made both more truthful and more vital. Confinement to modern opinions tends to thinness and weakness. The latest intelligence is of more value in a newspaper than in a scientific treatise. If an author in any department gets into the eddies of his age, and whirls round and round in them, he knows little of the sweep of the vast stream of the ages which holds on its way forever and forevermore. If this treatise has any merits, they are due very much to daily and nightly communion with that noble army of theologians which is composed of the elite of the fathers, of the schoolmen, of the reformers, and of the seventeenth century divines of England and the Jontinent. And let it not be supposed that this influence of the theologians is at the expense of that of the Scriptures. This is one of the vulgar errors. Scientific and contemplative theology is the child of Revelation. It is the very Word of God itself as this has been studied, collated, combined, and systematized by powerful, devout, and prayerful intellects. In closing up the labors of forty years in theological research and meditation, the writer is naturally the subject of serious thoughts and feelings. The vastness and mystery of the science oppress him more than ever. But the evangelical irradiations of the Sun of righteousness out of the thick darkness and clouds that envelop the Infinite and Adorable God, are beams of intense brightness which pour the light of life and of hope into the utter gloom in which man must live here upon earth, if he rejects Divine Revelation. That this treatise may contribute to strengthen the believer's confidence in this revelation, and to incline the unbeliever to exercise faith in it, is the prayer of the author.